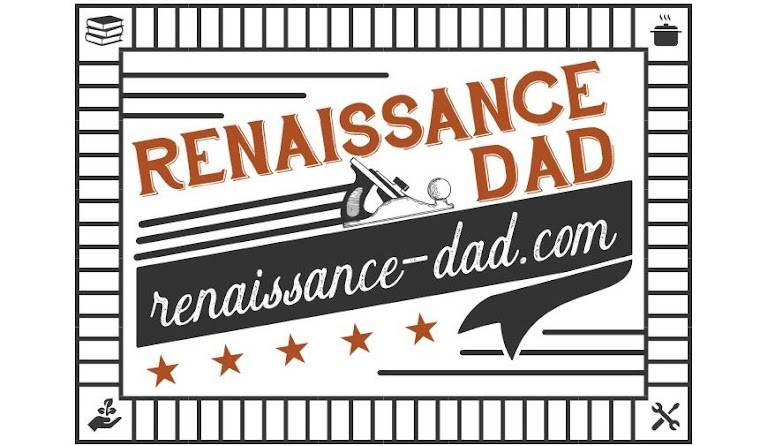 I am very happy to have a guest writer for Renaissance Dad. This is the Highly Driven, lovely wife of mine, here with some helpful advice on getting kids to eat their veggies. Our kids don’t eat veggies. They devour them. So many other parents are mystified, impressed, even jealous, that I finally sat down and really thought about how we got here. So, without further ado, I offer you The List of how we got our kids excited about vegetables. Take sweet potatoes out of fridge. Stab them with a fork. Put them in the oven (no need to wash, because the peel is coming off later). Bake at any temperature for any amount of time (400 for 45-60 minutes works, but if you need to throw them in with something else, you can bake them at lower heat for longer). Let cool. Peel off skin. Blend inner sweet potato, adding water to desired consistency. Keeps in the fridge for several days. the more intense flavors of real food. Plus they were too young to argue. Score one for the parents! To succeed in baby food making, you do need a good blending gizmo. My sister-in-law loves her Magic Bullet. I’ve been really happy with our Ninja. Both blenders have the MOST important feature: all their bits can be tossed in the dishwasher. And now that we are past baby food stage, we still use ours constantly for smoothies, homemade popsicles, gazpacho (or as Big A calls it, “God’s poncho”) and various food experiments. Pick one up today! learned to like it in the garden, it eventually transferred back inside. Same thing happened with sugar-snap pees and Little E. Oh, and did I mention that veggies from the garden taste WAY better than grocery store produce? It’s easier to get kids to like something that actually is good. Extreme Gardening has been our gardening guidebook for years, and I highly recommend it. with a cookie, but we try to keep it to a minimum. We prefer to be gross, silly or juvenile to get the veggies down their throats. We sing the Popeye song, Captain Vegetable and the Beans Beans song. The girls love their vegetables. 6) Hunger is our Ally. I wait until our kids are famished. Then I strike. If they are whining while I’m making dinner, I let them eat as many vegetables as they want. 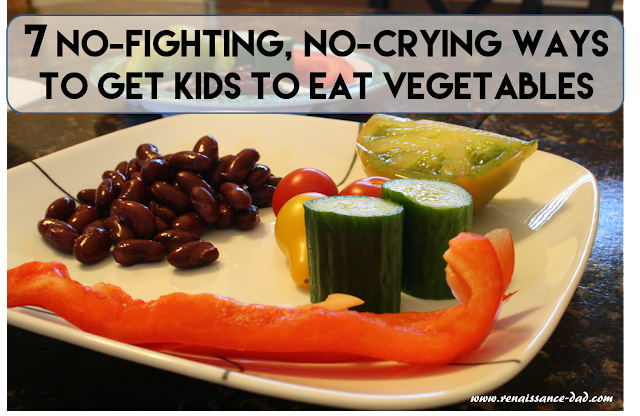 They will typically eat more veggies between meals than at dinner, and that’s fine with me. Big A can demolish more servings of vegetables during snack times than most adults eat in a day. I also give them bowls of veggies if they ask for a snack while they’re watching TV (gasp, our kids watch TV). I also let them help make the veggies. If they make something, they are more likely to at least try it. They especially love pumping the salad spinner (this one has stood up to three kids), cutting vegetables (I found some great kid-safe knives from Curious Chef that make this possible), and mixing things together. or play more than 10 minutes without fighting?